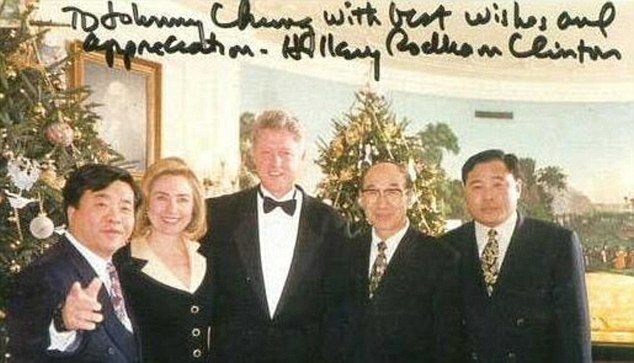 The Daily Mail reported on Thursday that Chinese-American businessmen Johnny Chung made a tell-all video as an ‘insurance policy’ because he believed he was going to be assassinated by the Clinton’s because of his role in the Clinton campaign finance scandal in 1996. In footage provided exclusively to DailyMail.com, Johnny Chung spills details on how he illegally funneled money from Chinese officials to Bill Clinton’s 1996 re-election bid. Chung described his fears in the video that the Clinton machine would have him killed after he admitted that he funneled money illegally from Chinese officials to Bill Clinton’s 1996 presidential campaign. Chung also claims that the Democrats pressured him to stay silent about his illegal operations with Clinton’s.